Going through and "cleaning out" the computer. Ran into old PSE 6, 8, and 9. Looking at the Presets in each and ran into some brushes, etc. that are not part of PSE 18. Can these old files be dragged into the respective preset files and work in 2018? Thought I would check here before starting this process in case there are some problems with doing this - and I don't want to reinstall 2018 again. I have done that myself; there shouldn’t be any problem. And, if there is a problem, for example, a corrupted file, you just remove it from PSE 2018. No need to reinstall the program. You mentioned Styles (.asl files). 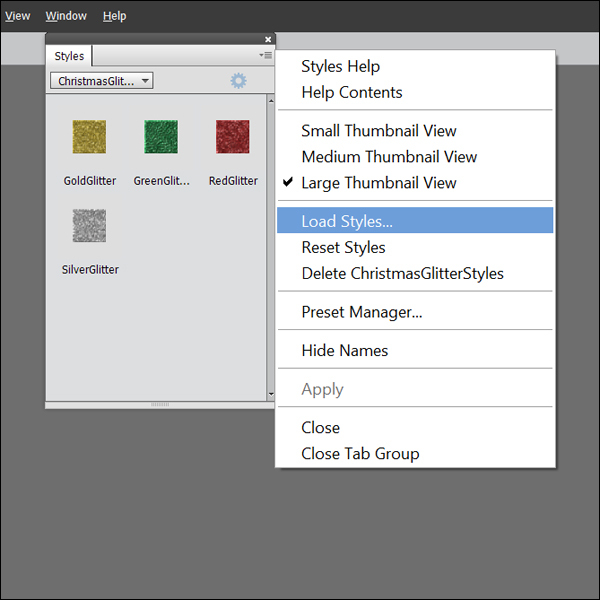 You do not need to install Styles in PSE 2018. Starting with PSE 11, Adobe made some changes. Now you just load them (Window>Styles). I would suggest you create a folder somewhere on your computer and store the .asl files there. Then, when you want to use a Style, navigate to that folder and load the file into PSE 2018. Thanks for the insights and tips! You are most welcome! Post back if you have any further questions.